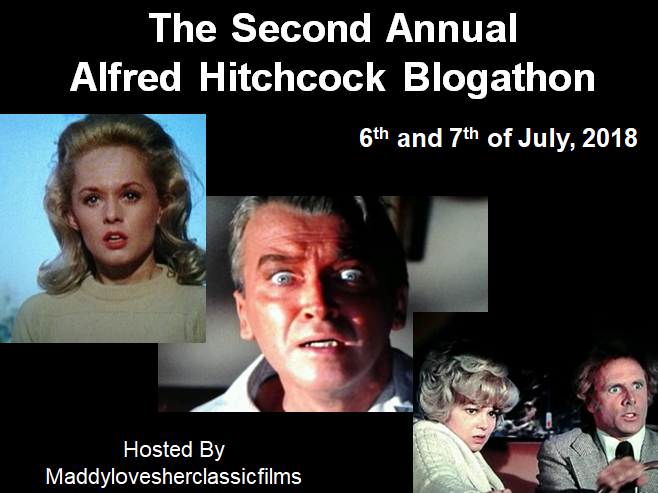 The delightful Maddy asked me to take part in a Second Alfred Hitchcock Blogathon and I just couldn’t refuse. I had to review Shadow of a Doubt, which is one of my favourite Hitchcock movies. A cracking thriller pulling apart the image of picket fence America, Shadow of a Doubt has director Alfred Hitchcock on scintillating form. Working in a smaller scale, it’s a movie that features many interesting themes and wonderful performances. Charlie Newton is a bored young girl living in the picturesque town of Santa Rosa, California. She feels she has nothing to do and that her life is dull. Her thoughts of this are quickly changed when news that her Uncle Charlie, who she was named after, is arriving in town. Her family is very happy about the incoming arrival of him as they adore him. What young Charlie doesn’t know is that her beloved Uncle is in fact the Merry Widow Murderer, who is fleeing Philadelphia. Everyone is in awe of Charlie and he lifts everyone’s spirits, particularly his niece. He is accepted right back into the bosom of the picture postcard town. But as much as young Charlie admires her uncle and fawns over him, various things start to worry her about her favourite relative. His behaviour occasionally becomes erratic and dark and two detectives, posing as journalists, also appear in town looking for the man they believe to be the killer. Soon Charlie becomes suspicious of the uncle she always adored and digs into his past. This of course puts her in danger as we aren’t sure whether Uncle Charlie will kill her because she knows too much. Alfred Hitchcock displays his directing prowess in many ways and brings out the story with darkness and keen insight. Darkness pervades this movie and the eternal battle of good against evil is waged in circumstances that seemed comfortable but are disturbed by something sinister. Suspense builds as Young Charlie wrestles with what she feels about her Uncle Charlie and how he is far from the man she idolized. Doubt tears apart the picture perfect image of society with irony and dark humour. A cracking example is Charlie’s father and next door neighbour whose main interest is discussing mystery and murder. The delicious irony that a serial killer is under the father’s roof is excellent. Plus, I love all of the references to doubles and twins, particularly how the main characters share the same name but at are different ends of the morality spectrum. 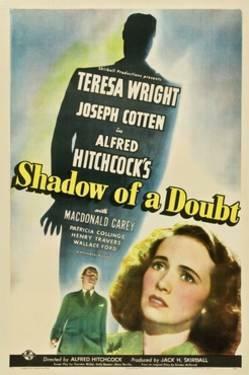 Shadow of a Doubt may not boast the big set pieces that some Hitchcock movies have, but it features a lot of his artistry and penchant for generating suspense. By being more small-scale, the story comes to the forefront and the characters are the centre. For me, it’s one of the directors finest movies as it explores deep darkness and has fine acting and writing. Hitchcock was always fascinated by the dark side of human nature and his direction and themes are aided by a screenplay that really compliments his vision. The best example is when Charlie and Uncle Charlie are in a bar and he begins to talk of the nastiness behind closed doors that so many people don’t see because of the veil of niceness. While bleak and extremely creepy, Uncle Charlie is definitely on to something that still rings true today. It’s a spine chilling scene that says so much about Uncle Charlie’s character and his view of life. Dimitri Tiomkin provides the score, that undercuts events with a beauty and idyll, while simultaneously revealing the shocking truth and evil within the character of Uncle Charlie. 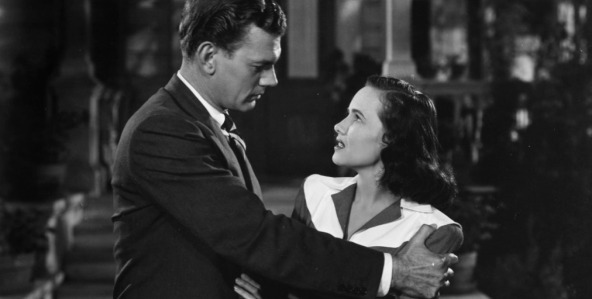 Leading events is Teresa Wright, who has the right mixture of youthful enthusiasm and eventual maturity as she is faced with her worst nightmare. The sweetness Wright brings is just the amount needed so as not to become cloying, but watching her grow up fast is fascinating and melancholy at the same time. Wright is simply put marvellous as the young girl learning the hard way about the evils of life. 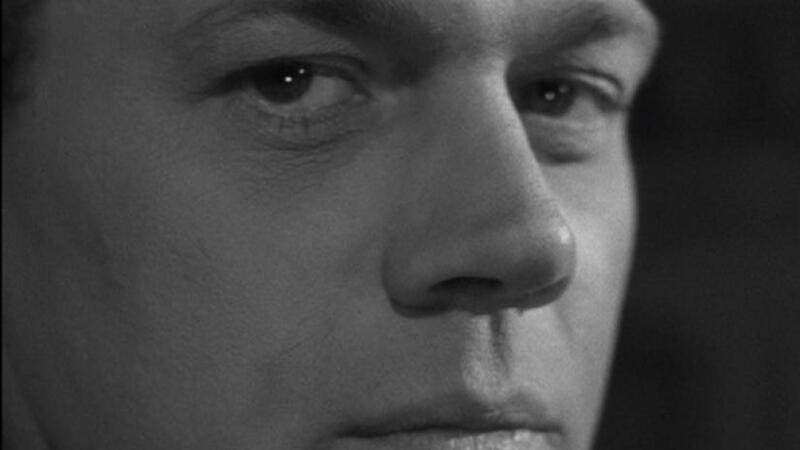 Joseph Cotten is a revelation as Uncle Charlie; balancing charm and beguiling nature with a worryingly dark intensity. He does this sometimes in the blink of an eye, making the part one that is unpredictable. Cotten commits to the part, using his usual nice guy persona to deathly, smooth effect and colouring what’s there with something extremely sinister. It is Wright and Cotten who are the big stars here and deliver the goods splendidly. Henry Travers and Patricia Collinge are well suited to their roles as parents, doting on the family and raising their kids the best they can. Travers enjoys a fine rapport with a debuting Hume Cronyn, who steals his scenes as the murder obsessed neighbour. A wonderfully unnerving and successful thriller from one of the best directors there has been, Shadow of a Doubt is a must see. A movie that practically defines the term life affirming, It’s a Wonderful Life is a beautiful hymn to the spirit of community and the difference of one person on so many others. 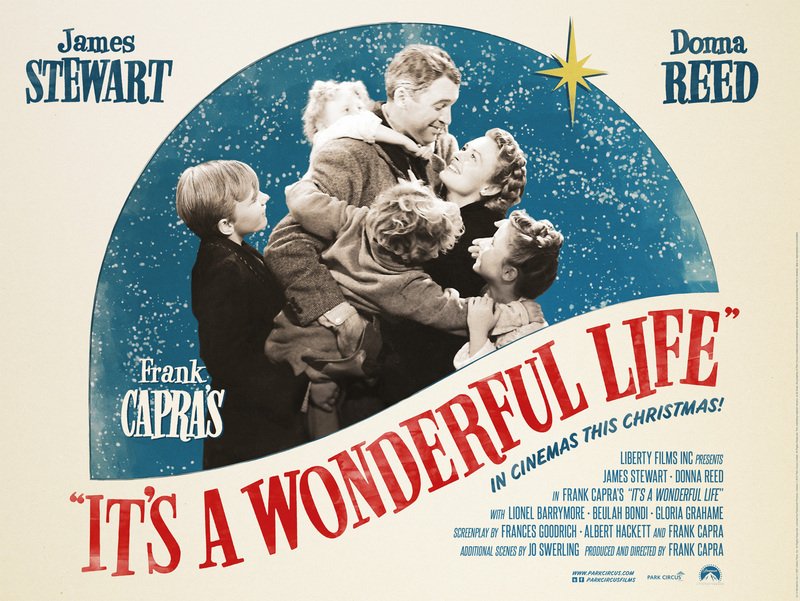 A perennial Christmas movie, it earns all of that adulation through the story, moving direction of Frank Capra and the lead performance from the iconic James Stewart. George Bailey is a dreaming young man who has always wanted to travel and explore. Unfortunately, fate has had different plans for him which leaves him forever in his hometown of Bedford Falls. As he is a kind-hearted man, over the years he has had to make multiple sacrifices to help others. The biggest one was foregoing an education after his father’s death, so he could take over the building and loan business. This is largely due to him not wanting the sly and crafty banker Henry Potter to take advantage of the small town, as he is known for trampling all over anyone who gets in his way. George gets some respite from his troubles thanks to his lovely wife Mary and their young children, but even then George starts to feel like he hasn’t achieved anything and has constantly put his life on hold. Events come to a head on Christmas Eve when his Uncle Billy, who works with his nephew, loses a large sum of business money that secretly falls into the hands of the wicked Potter. Terrified of the potential scandal on his business and how it will affect all of those closest to him, George is beset by suicidal thoughts. While George is contemplating killing himself, prayers from many have reached the heavens and a bumbling angel by the name of Clarence appears to George. Clarence is there to persuade George that he should continue with life(in return he will receive his wings), even though George dismisses his ideas. Seeing no other option and throw his powers, Clarence shows George what life would have been like if he hadn’t existed, hoping it will bring him back from the brink and notice how valuable he is. Frank Capra’s direction is one that touches the soul deeply and never rings false with any of the emotion displayed. With gentle humour and careful insight, he conjures up the importance of being there for others and while life can be unfair to us, we can be rewarded for our good deeds with the respect of others. 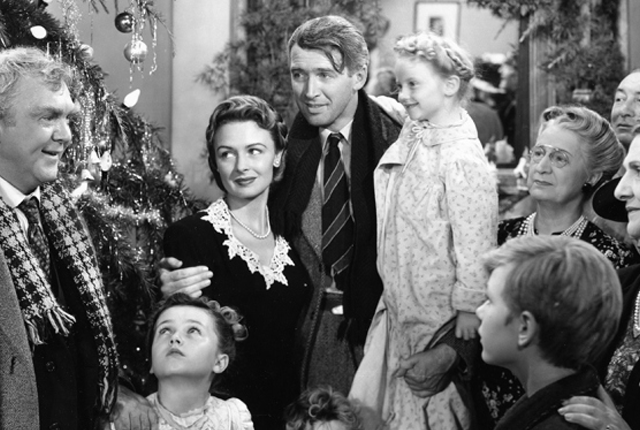 While It’s a Wonderful Life is known for its sentiments and uplifting story, it also manages to temper this with the possibility of what if, as a despairing George comes to see how much he has influenced everyone and the deeply felt love they have for him. Even when there are melancholy moments, the glimpses of hope are never very far and this film balances both joy and bittersweetness in peerless fashion. It’s a Wonderful Life splendidly poses the notions that even when it is a dark time, there is always something out there to pull you back up again. I particularly love the framing device used in the film. We begin with two angels(represented by flickering lights in the sky) explaining about George and what he plans to do. Clarence joins and is given his task to help poor George see that life is worth living and then we get the vignettes from George’s life to explain just why he is contemplating ending it all. In the second half of the picture, the narrative catches up with the present and the mystical and divine intervention takes the film to soaring heights of finely felt emotion and morality. I don’t know why the structure of the film appealed to me, but I think it had something to do with how it fleshed out George as a character and made us all see the doubt that was creeping into him. A suitably twinkling score, laced with the festive cheers bubbling underneath it, evocatively brings forth the observation of how one person can have a big impact in the grand design of things, without actually realising just how cared for they are. Simply stated, you can’t help but be pulled into this lovely film in all its moving and specially magic glory. 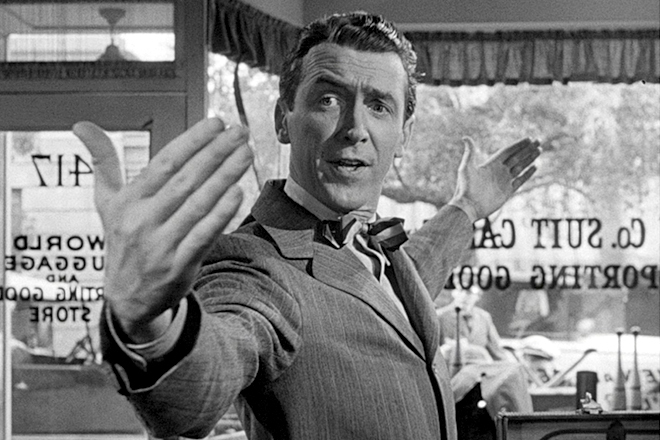 James Stewart is what truly makes It’s a Wonderful Life such a favourite of many. His intrinsic ordinariness and relatability are ideally found in the part of George Bailey, along with the nagging self-doubt that plagues him. Stewart excels at making the part one of humility and altruism, yet never falls into soapy melodrama because of how grounded he makes the role. We can all relate to someone like George, who has worked hard and had to sacrifice to help others, and Stewart’s heartfelt delivery is the winning key to it. Donna Reed stunningly supports him as the caring and giving wife, who sticks with him through thick and thin. For this kind of story of the individual making the difference against something, you need a good villain and Lionel Barrymore more than fits that bill. His part of Potter is a nasty piece of work in the boo/hiss variety and the presence of Barrymore infuses him with the villainy needed. 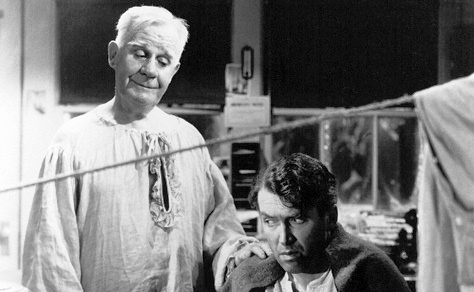 Thomas Mitchell and Henry Travers practically light up the supporting characters; Travers in particular is ideally cast as the guiding angel sent to help George in his time of need. A film that will warm the heart and soul, as well as make you laugh, cry and be happy, It’s a Wonderful Life encompasses such a range of feelings and messages that it can’t be forgotten because of its care and deep soul. And who doesn’t love breaking this movie out for Christmas time?